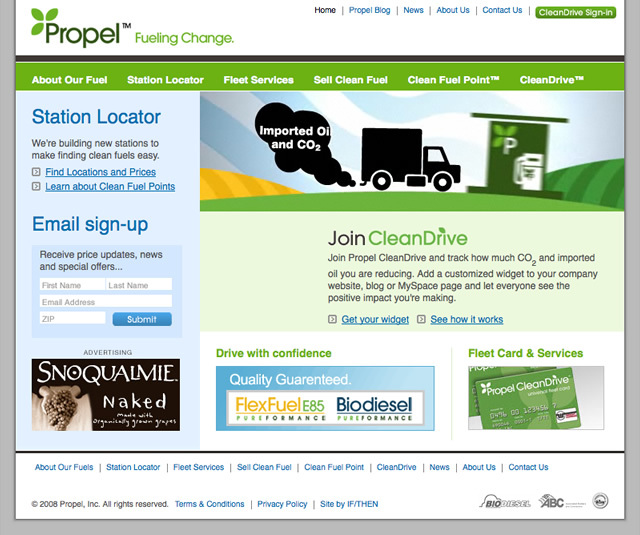 Propel Fuels is a leader in the biofuels industry and they wanted a site to set them apart from the competition as not only a biodiesel re-seller, but as experts in biofuels. They also needed a site that would do heavy lifting to educate consumers, businesses, and governments about the most viable alternative fuel. 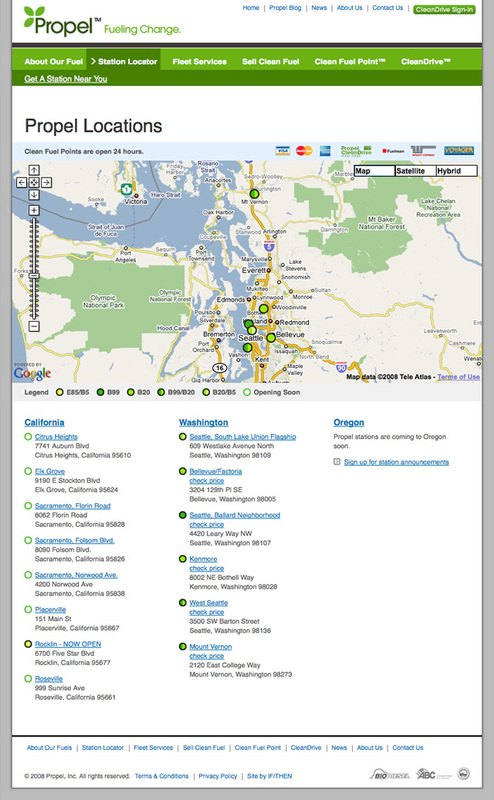 We worked closely with the client to create a website that promotes biodiesel in a way that�s honest and easy to understand, while also helping to highlight Propel�s clients and their unique consulting services. 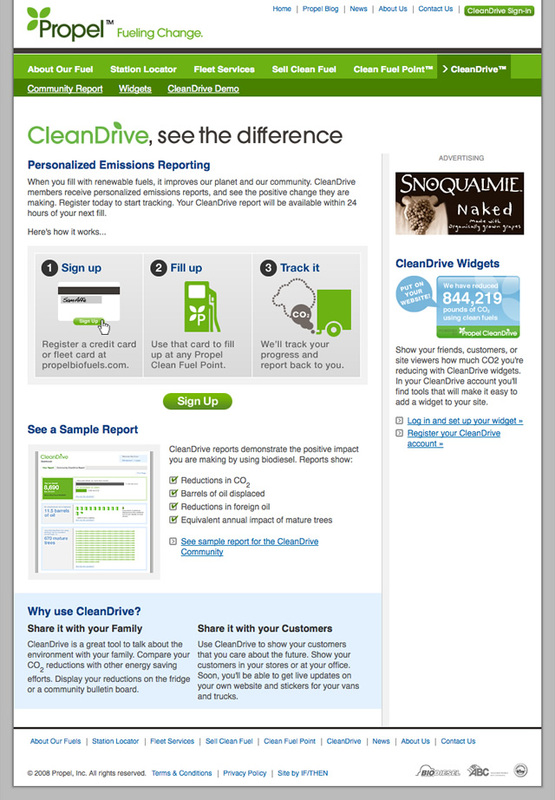 We built a highly interactive website with features such a CleanDrive, a tool to calculate reduced carbon emissions based on a customer�s purchases at Propel pumps. The website fulfilled Propel�s agendas seamlessly, achieving their wide-ranging business objectives. We continue to add new features to the site as Propel expands.